Parma is not just a city in the Italian region of Emilia-Romagna famous for its prosciutto, cheese, architecture and surrounding countryside, it’s also a round shield used by the Roman army. 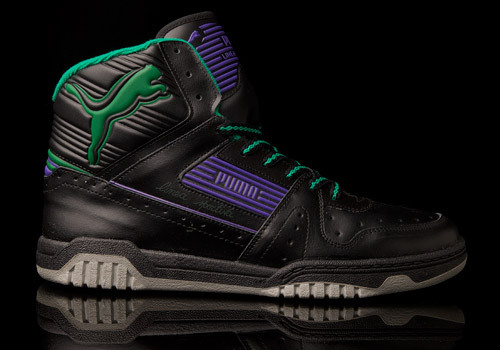 Both cultured, sculpted, and defensive, the name fits the shoe quite well. 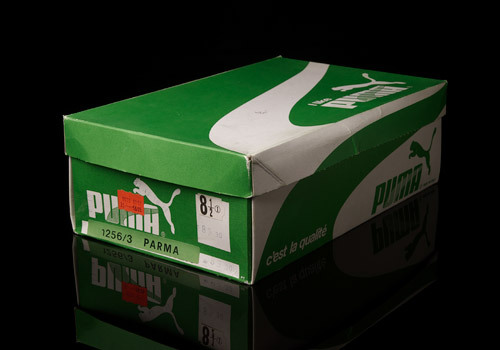 Actually, a few shoes were released under the ‘Linea Sportiva’ series (translated literally into English as ‘Sports Line’), all Italian made, all 1980s produced, and all (at least by our findings so far) named after Italian cities. 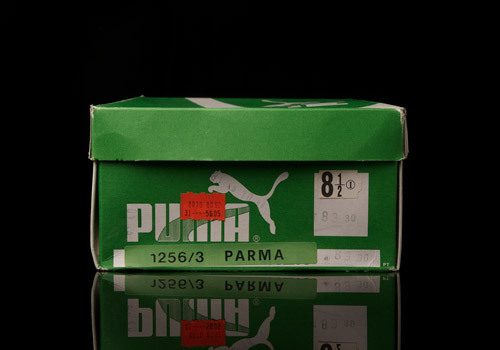 Quite sneaky actually, since sneakerheads around the world rave and rant about the ‘City Series’ lines from not just PUMA but other big brands as well, yet there is hardly ever a mention of the PUMA Parma, and it’s earlier built brother, the Napoli. All sharing the same article number (1256) with a variation at the end to denote their colorway, it seems that the models are identical in build and structure. 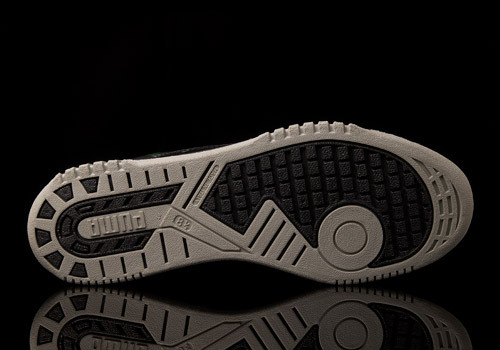 The upper is incredibly thin – comfortable, yes – but still thin to a fragile degree. This is of no surprise considering the time and place these were made; the Italian production is about finesse, not about creating monster boots for a war. 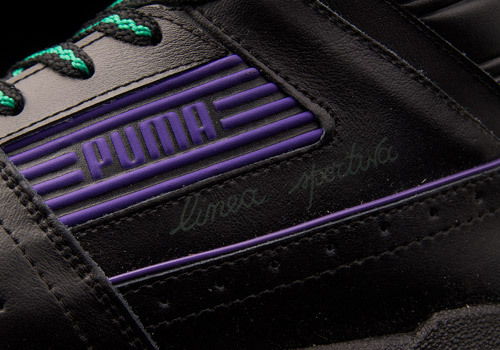 In this sense the Roman shield reference is lost, despite the fact that these Parma’s have quite the aggressive colorway. 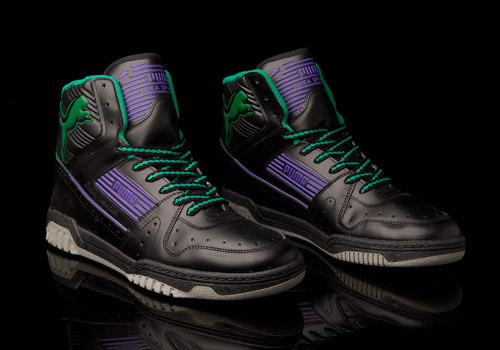 Loud for their time, the inclusion of the subdued neon hues against the black upper is fantastic. 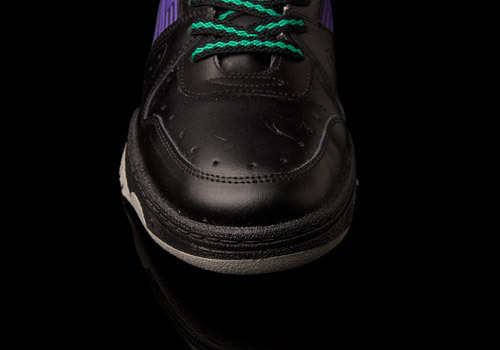 The final effect applied by the addition of the grey outsole is perfect too, and the uniquely designed dual-color laces is simple icing on the cake. Durability wise, there doesn’t appear to be any degradation in the outsole, eyelets, tongue, or inner lining – which are typically the usual places to look for break down of vintage pairs. Though the structure is thin, the toe holds pressurized use quite well, and the tongue and ankle collar form fit to the wearer giving a great lock in feel. The only downside is the heel support; a solid, stiff material has been laid in between the upper and the inner lining to provide lower strength for the wearer’s heel movements, and unfortunately, upon first use, within seconds, this can be heard to crack and split. It’s debate-able how necessary this piece truly is if one only attempts to wear the shoe for casual use, though we’d have to test it long term to determine for sure, and given the rarity and condition of this pair it’s not likely we’re going to be pulling them out of the archive and playing a game of ‘HORSE’ in them any time soon.